Mark Padun achieves his first victory as a professional rider at the Tour of the Alps 2018. Bahrain – Merida‘s joungster succeeded in taking the win on stage 5 by moving the decisive attack with only 3 kilometers to go but the Ukrainian is also happy about his conduct of racing. 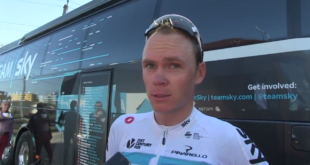 Padun sat with Chris Froome on the last climb to Olympia and felt strong enough to attack effectively in the finale. What this guy has proved to be capable of within the last month of racing is the proof that he’s at ease in the pros. Listen to the video interview to know more about Padun’s feelings once he has stepped off the podium. 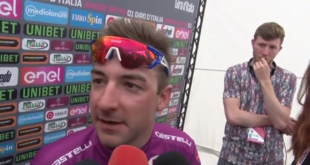 Giro d’Italia 2018, Viviani takes the sprint! 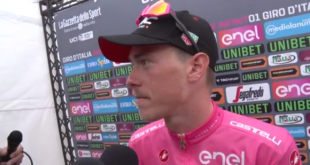 Giro d’Italia 2018, Dumoulin is the first pink jersey holder!